Did you know Japan had Alps?! I certainly didn’t. This is the common name given to a series of mountain ranges that run across the main Japanese island of Honshu. It’s a beautiful region of Japan and I had a lovely time exploring the area. With so many cities to see, I’ve narrowed it down for you in this 6-day itinerary. If you don’t have 6 days to spend here, you can shorten this itinerary by eliminating a night in Nagano or in Kanazawa, but you’ll feel a bit rushed. Note: This post contains affiliate links meaning if you book or buy something through one of these links, I may earn a small commission (at no extra cost to you!). However, note that I paid for everything I mentioned in this post and would not recommend something if I did not enjoy it. You can see my full disclosure policy here. The host city of the 1998 Winter Olympics, start your journey in the Japanese alps by hitting the Nagano slopes if you’re a skier or a snowboarder. Afterwards, you can enjoy a good soak in an onsen to ease your muscles – just remember it’s in the buff! I took a dip what seemed to be a very family oriented onsen called Uruoikan (裾花峡温泉 うるおい館 in Japanese) who rarely saw tourists. The staff didn’t speak much English, but if you follow what others do, it’s pretty easy to figure out and the unique experience is definitely worth it. If you didn’t come prepared to hit the slopes, then a day trip to Jigokudani Monkey Park is a must. 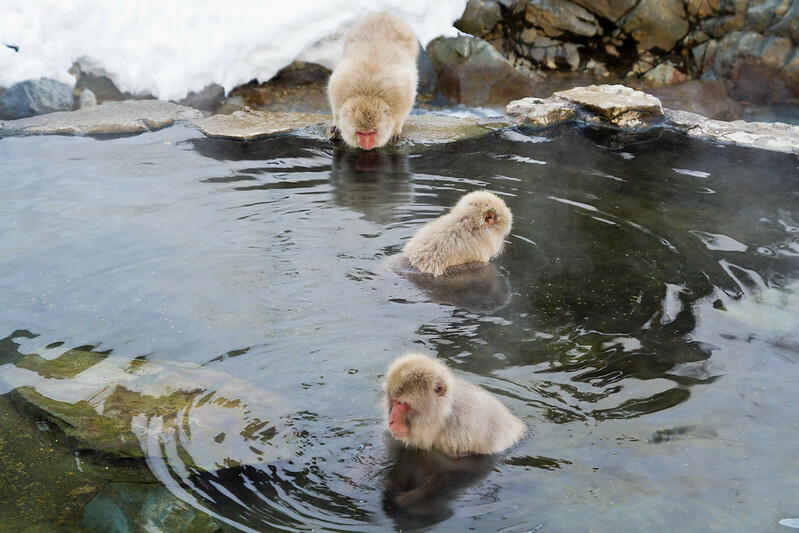 Watch snow monkeys bathe in the park’s natural hot springs, laze about and interact with one another. This experience was one of my highlights of my trip! To get to the park, you can purchase a one day pass at the bus stop behind the main train station. This pass for ￥3200 includes unlimited use of the bus to and from the park as well as the entrance fee to the park. 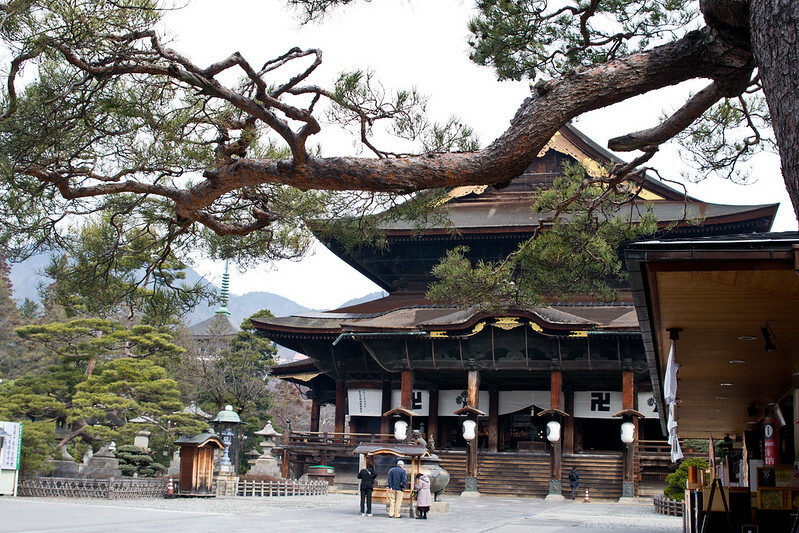 Before leaving, make a quick stop at the Zenkō-ji Buddhist temple which is home to the first Buddhist statue to be brought into Japan. While you can’t see the original, a copy of the statue is brought out for public viewing every 6 years for a couple of weeks. In the temple’s basement, there is an underground passage which is said to lead visitors in darkness to the “key to paradise” which is said to bring salvation to anybody who touches it. Leading up to the temple are a number of souvenir shops and restaurants where you can grab a quick bite. While a bit chilly in the winter, the hostel is small and cosy. It’s easy to make friends and the owner is really friendly and helpful. You also get the unique experience of staying in a house that is over 100 years old. Check out reviews on Tripadvisor.com and book your stay at Booking.com. Of all the cities I visited in this region, Takayama was my favourite city of them all. Not really knowing too much about the city helped as it was so much fun to just discover it for myself. All I knew was it was famous for its beef and for its sake. Definitely can’t go wrong with those right? 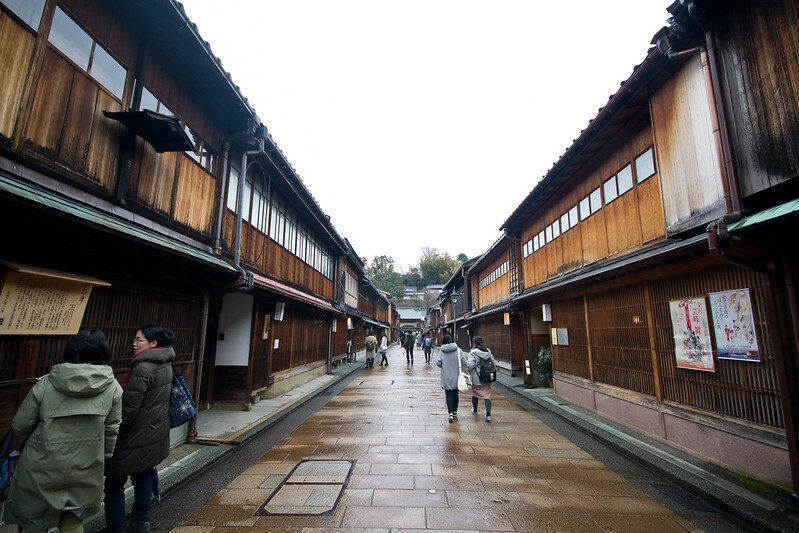 The city’s preserved Sanmachi Suji historic district showcase original merchant houses that date back to the Edo Period. 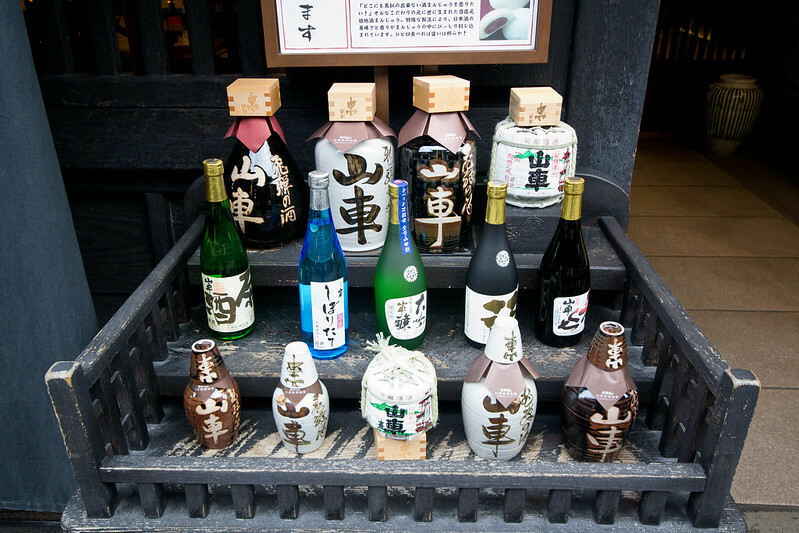 Today, they’re home to restaurants, shops and sake breweries which are worth exploring. My favourite discovery was a sake brewery called Harada Sake Brewery (銘酒 山車 in Japanese) on the south end of the preserved streets which offered a tasting of a number of sake with a purchase of a cup for 200 yen. A great deal! 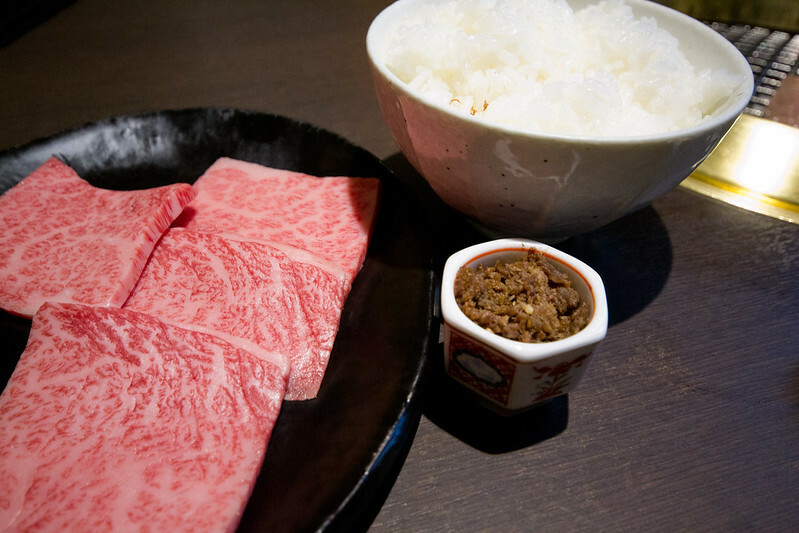 Along the historic streets, you can get a taste of the famous Hida beef, but they’re usually in combination with other foods. To truly appreciate it, consider enjoying a meal at a restaurant that specializes in it like Maruaki where I was able to grill my own set of Hida beef. Takayama is also famous for its Matsuri festival where 11 beautifully decorated floats are pulled through the city. This festival is held every spring and autumn of each year. 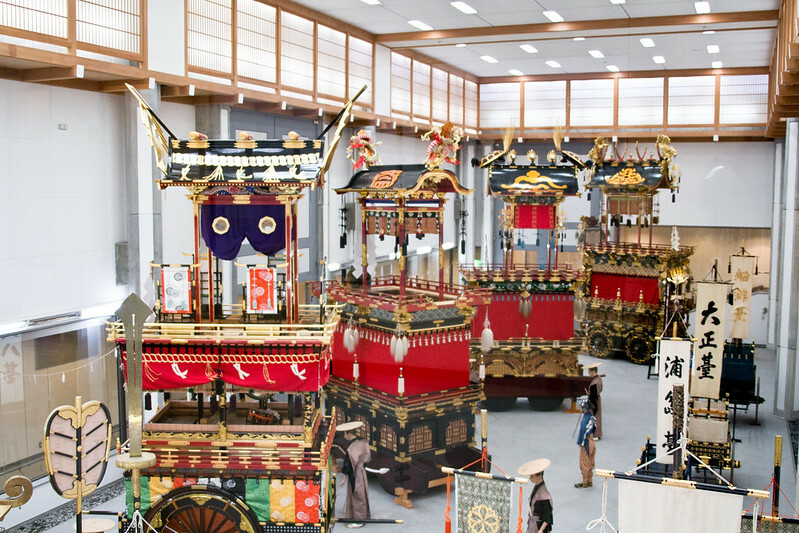 While I was there too early in the year, there is a Float Exhibition Hall where visitors can see some of the floats and learn about how they’re manipulated for the festival. Near the festival, hall is also the Sakayama Hachimangu Shrine. Near Takayama, there is also Hida no Sato, a collection of traditional thatch-roof houses from around central Japan. However, if you’re heading to Shirakawago, like I was, you can opt to skip this. There are two locations for this Japanese hostel chain in Takayama and I stayed at the Oasis location. My capsule like bed was incredibly comfortable and I enjoyed the privacy it provided. 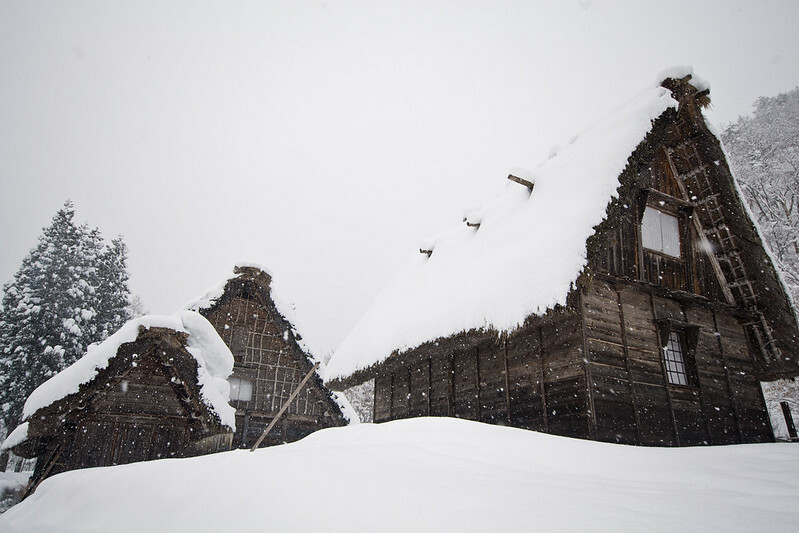 Shirakawago, a UNESCO World Heritage Site, is home to over 100 traditional thatch-roof houses called gassho-zukuri. Some of these houses are more than 250 years old! The design of the houses with its steep thatch-roof is designed to withstand the large amounts of snow that the area gets every winter. I saw this snowfall in action while I was there. The loads these houses were holding were definitely impressive! Stop by the Gassho-zukuri Minkaen open air museum to get an up close look in and outside the houses. Head up to the Shiroyama Viewpoint to get a great view overlooking all of the village and its houses. In the village itself, there are a couple of houses turned museums that are open to the public where you can see how these families live in these historical houses. 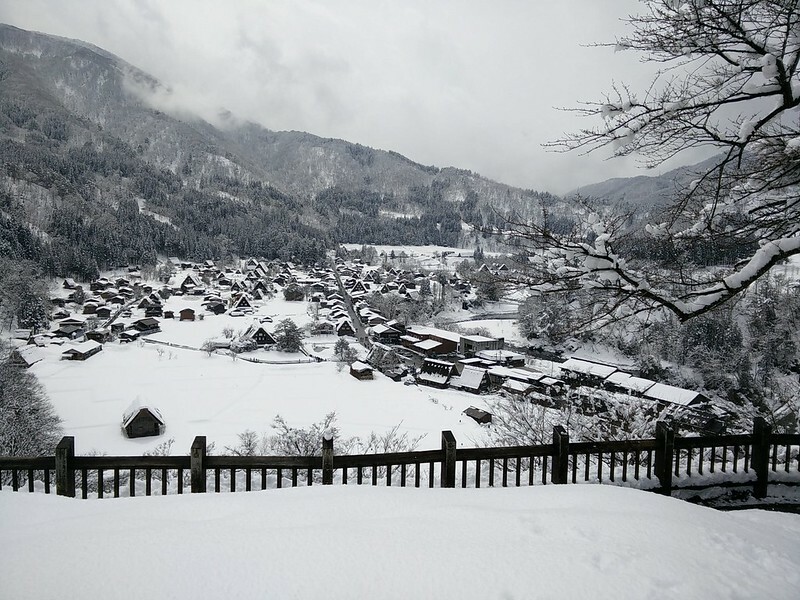 To complete your Shirakawago experience, consider booking a stay in one of these houses which now operates as a ryokan. Typically the hotels will include breakfast and dinner in the price of your accommodation. Once the tourists leave, it’s an entirely different experience and you can experience the village under the twinkling lights. 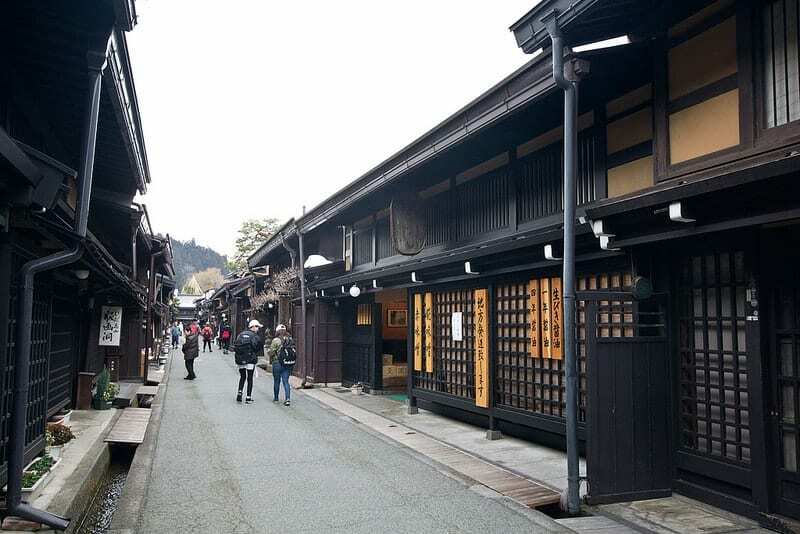 Sometimes dubbed “little Kyoto”, Kanazawa is full of historical attractions to explore. Pick up a bus pass for the Kanazawa Loop Bus for ￥500 which takes you around the city to all the top sights. If you ride the bus at least 3 times you’ll have already benefited. You can purchase the pass at tourist information inside the main train station. Following the route, you can explore the Higashi Chaya District which is full of traditional teahouses where geishas once performed. Today, there are still two teahouses open to the public, but most of the area is filled with cafes and shops. Stop by the Kanazawa Castle and take a stroll through the castle park. While the castle currently standing on the grounds are a reconstruction, it’s still an impressive sight to see. Cross the road and explore the Kenroku-en Garden which is a traditional Japanese Garden. Finally, head to Omicho Market for all the food options you could ever want. Dating back over 280 years, the market has over 200 shops selling fresh local seafood and produce as well as other kitchen essentials. A no frills hostel located walking distance from the main train station. I found it to be further away from the tourist attractions, but the price was significantly lower compared to other hostels in the city. I loved the female shower room though which came with a lot of amenities that most hostels don’t provide like hair ties and light up makeup mirrors. If I were to go back to Kanazawa, since I enjoyed their other locations, I’d consider staying at K’s House Kanazawa instead which has since opened. All of the major cities in the area can be reached by train using a JR pass. The train ride to Takayama is an attraction in itself. The ride was full of beautiful views so try to get a window seat if possible when making your reservation. 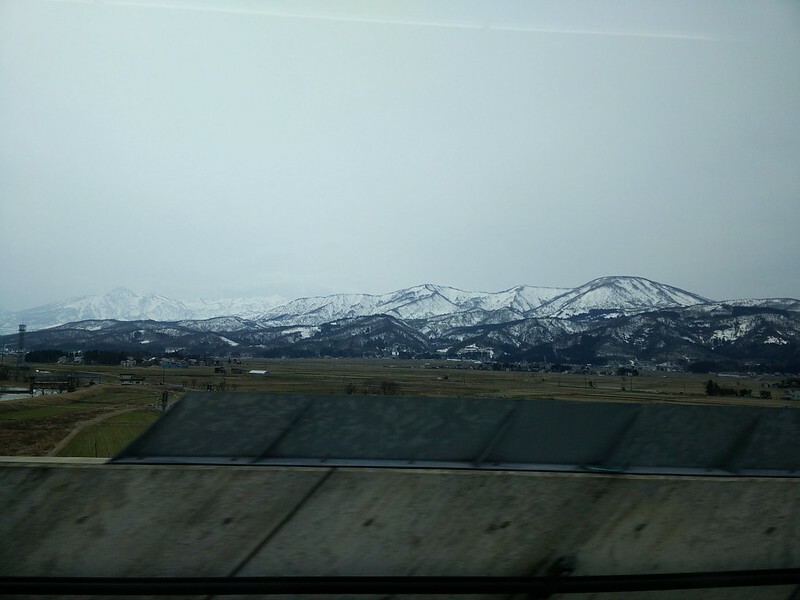 I was heading south from Toyama and sat on the left side of the train and had some great views. However, note that this portion of the train requires a mandatory seat reservation that you can get at any JR ticket office (reservations are included in the price if you have a JR Pass). The train also doesn’t run as frequently as others so be sure to time it accordingly so you don’t spend hours waiting at the train station. Such a pretty train ride! As spotted from the windows of my train. The only city in this itinerary that cannot be reached by train is Shirakawago. 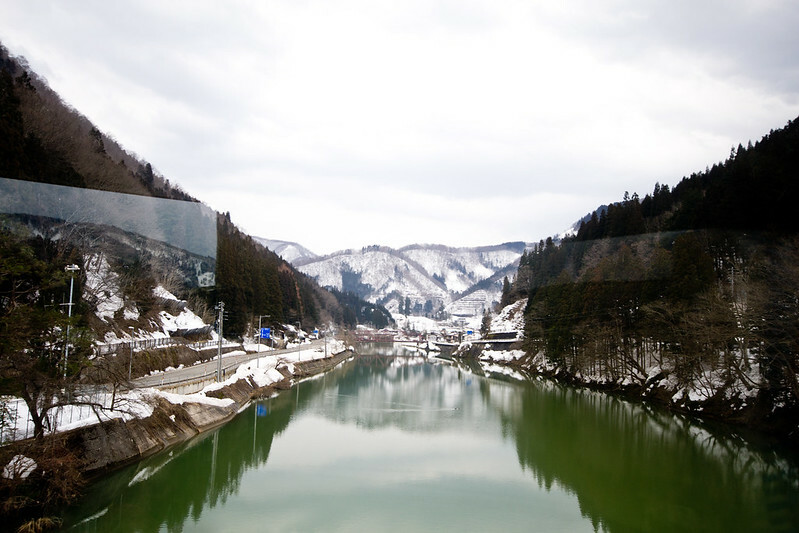 To reach Shirakawago, you will need to book a bus. You can book your ticket online ahead of time. However, note that if you want to change the time, you will need to cancel it online yourself – the ticket offices won’t be able to help you. Bundled up and covered up with my borrowed umbrella. Still not enough to beat the cold though! I visited the region in early March and found winter still in full force. 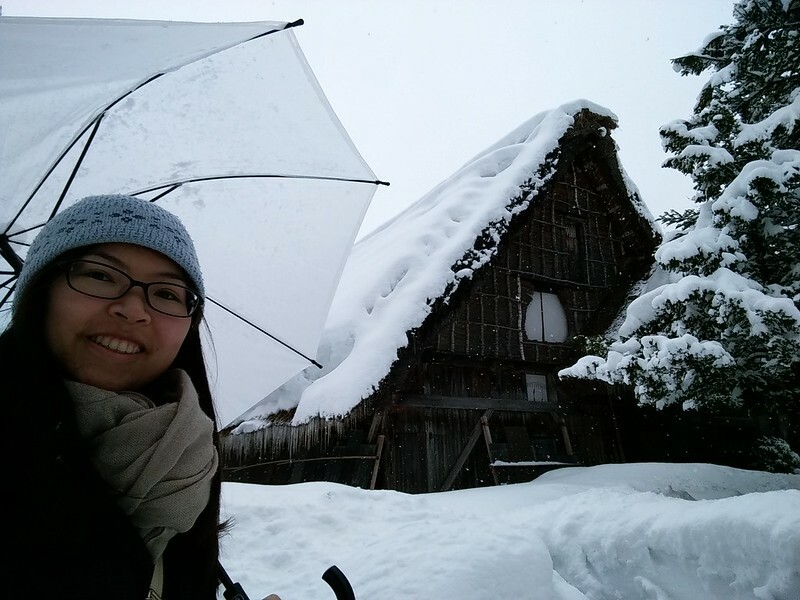 The day I spent in Shirakawago was cold, wet and snowy as was the path to Jigokudani Monkey Park. The forecast was for snow in Nagano the day I left. The whole time I was in Kanazawa, it rained heavily. Takayama was my only relatively dry day, but it rained there too. Be prepared for the weather by bringing waterproof shoes or boots. Pack extra sweaters and lots of layers. Have a rain jacket as well. All of the hostels I stayed at provided umbrellas that you can borrow as you walk around the city which was convenient and very useful. So there you have it, a basic itinerary and introduction to the Japanese Alps. There are so many interesting cities and villages to see and I would love to go back and explore some more of it, but maybe not in the winter. I loved the experience at the Jigokudani Monkey Park, thoroughly enjoyed eating and drinking my way through Takayama and discovering Japanese history in Kanazawa and Shirakawago. If you’re looking for something different to experience on your next trip to Japan beyond the big cities of Tokyo and Kyoto, I highly suggest you take a journey through the Japanese Alps. Have you been to the Japanese Alps? What were some of your highlights? « Hakone Free Pass: Worth It? I love your guide to the Japanese alps. I am glad that the monkey’s have their own hot springs to bath in and aren’t co-mingling with the swimmers. It seems like there are so many ways to enjoy a quieter side of Japan than they hustle and bustle of Tokyo. This kind of trip would really interest me. Thanks so much Jenn and Ed! It’s a beautiful part of the country to explore and so relaxing. A nice trip through the Japan Alps and it’s an amazing area to explore. I would recommend going to Tateyama and Matsumoto, too. But yes, the trail would be closed in winter. I originally wanted to take a day trip to Matsumoto since you can get there by train, but I was just too tired and opted to hang out in my hostel and chill. Wow, there certainly seem like a lot to do in the Japanese Alps. I’d love to spend a day watching the snow monleys followed by soaking in an onsen. It’s seriously perfection in a day. Hopefully, you get a chance to do that! I’ve always wanted to visit the mountains areas but didn’t know you could see so much by train. Great post! The snow monkeys were seriously amazing. One of my highlights for sure.